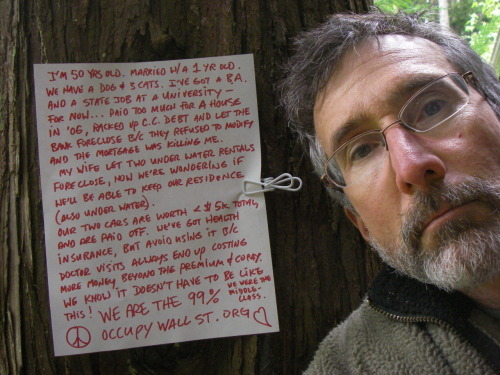 Occupy Wall Street movement scares Vancouver business association, but is it scary? Although the demonstration in Manhattan looks more like a rock festival than a demonstration, and there has been no show of violence from protesters there, the Vancouver business improvement association sent a memo to members today, warning them to prepare for possible disruptions when Occupy Wall Street comes to Vancouver on October 15. 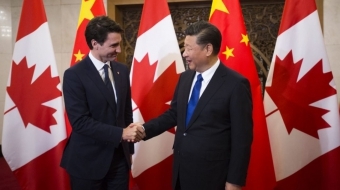 "I want to clarify one thing to the North American people, this global movement is not violent, is solidarity with the affected citizens of each country," a supporter wrote today on Facebook, but apparently the business association in Vancouver isn't convinced. They have told members to create security zones around their stores, and prepare for unexpected marches and possible vandalism and mayhem. "There is no enemy because we are all citizens," the Facebook supporter wrote. 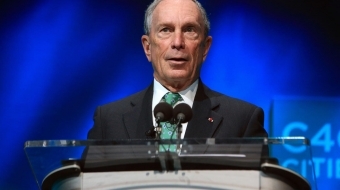 However, the Occupy Wall Street movement is now being compared with the early Tea Party movement. They are both populist movements fueled by people who are very angry about government overspending, specifically bailing out Wall Street. They are also movements full of people who have lost homes, jobs and savings, even as they watched the government save banks and brokerage houses from tanking---the wealthy "one percent". 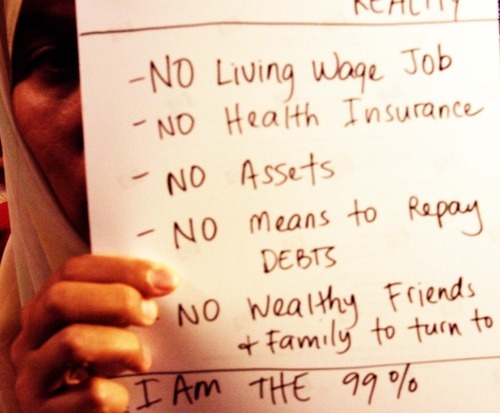 "This is the real American dream", reads a post beneath this picture on OWS's Tumblr site, "We Are the 99 Percent." And here, another picture tells a tale of foreclosure and a family's financial ruin. Whatever the case, businesses in Vancouver are going to be preparing to secure themselves against the potentiality that those protesting economic disparity will deteriorate into a mob, just like the Canucks fans who lost it after the team was defeated during the Stanley Cup Finals. The funny thing is, when the Occupy Wall Street protest arrives at the Vancouver Art Gallery Oct. 15, it will probably look a lot more like a rock concert than a riot.